Colorado Springs is a particularly fast-growing city, surrounding by spectacular views, with the scenery including the Colorado Rockies. 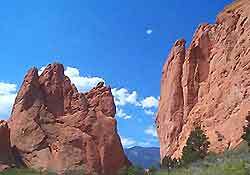 The city of Colorado Springs has long been an extremely popular tourist destination and has become the second-biggest city in the whole state of Colorado. With a magnificent National Park and many historic attractions, Colorado Springs offers the charm and character of a small town, together with all of the conveniences you would expect in a bustling city.